“Through all our adventures, we believe in enjoying the world but giving something back at the same time” ~ Charley Boorman. 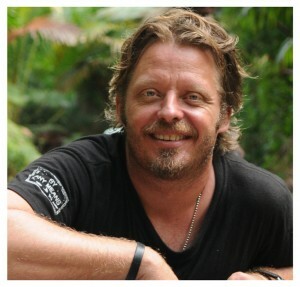 Charley Boorman is a modern-day adventurer, travel writer and entertainer. His charismatic “let’s just do it” approach to challenges has won him over to a massive TV and literary audience. A little known fact is that although Charley has travelled around the world from early childhood, he spent a great deal of his youth in Wicklow in Ireland. Husband to Ollie with two young daughters, Doone and Kinvara, he’s very much a family man. His acting career started as a child. Being the son of the famous film director John Boorman, his career was already mapped out, appearing in the film “Deliverance” in 1972 and many others to follow. In 1997 he met Ewan McGregor the star of “Train Spotting”, “Star Wars” and “Moulin Rouge” amongst others, who became his co-adventurer and co-star in the Long Way Round and Long Way Down series. In 2004 they took part in “Long Way Round”, a motorcycle trip from London to New York via Europe and Asia, which became an iconic television series, book and DVD. It was shown worldwide and became a bestseller. At this time he also became involved with UNICEF as their ambassador, and has visited many of their projects during his travels, the majority of which have been integrated into his TV programmes. 2006 and Charley competed in the famous Dakar rally which was filmed and then became the “Race to Dakar” TV series. Injuring both his arms during the event meant that he didn’t cross the finish line, however the show continued with Charley becoming team manager on the ground, and getting his team mate Simon Pavey to the end. Race to Dakar became a big hit, both in DVD and book sales. 2008 Charley went on a solo adventure which has taken him all around the world – “By Any Means”. It began in his home town in county Wicklow and ended in Sydney, Australia. He set out with the intention of making the journey “by any means” of local transport available – a mish mash of boats, bikes, elephants – you name it, Charley used it! 2009 and the second part of by any means took place – but this time having a stronger focus on one of Charley’s loves – motorbikes. Departing from Sydney mid-May, he arrived on Rainbow Bridge in Tokyo in August having travelled the Pacific Rim. An open invitation was issued to any biker who wanted to join him for the first leg up the coast of NSW and over 1500 riders took part! Charley went on to produce many more adventure travel shows and even came runner up in Celebrity Masterchef in 2014 – certainly a man of many talents! Many of the DVD’s and books have remained best sellers, even now. And after his first UK and Ireland Live Theatre Tour early 2010 all of his books and DVD’s saw massively increased sales – it was like ‘we hit a nerve’ said Charley – “Everybody wants to taste some adventure in their lives…”. The tour was produced and presented by Billy (Biketruck) Ward, a friend and business colleague and saw audiences smiling from Brighton to Glasgow and Manchester to Dublin. With special guest, Dakar legend Simon Pavey, the audience were given a great insight into Charley’s career and in particular his biking enthusiasm and his humour. Charley and Billy have since presented a second UK and Ireland tour as well as running inspiring adventure motorcycle rides across Australia, South America and Southern Africa with their tour partners Compass Expeditions. Billy Ward, his righthand man and sometime manager, has worked with Charley all around the world and is a qualified african safari guide. Their commercial tours across the globe are differentiated by their level of quality, their qualifications and experience and their understanding of what makes a real adventure. All their tours are supported with a full time medic, support vehicles and qualified guides – and don’t think for one minute that this ‘support’ takes away any of the adventure – you will have an experience of a lifetime – for sure. Charley Boorman has certainly carved an impressive and successful career for himself, but what most people like about him is his ‘ordinary’ one of the boys’ attitude. Cheeky, energetic, entertaining yet fallible – he’s always fun to be around and he’s always ready to chat to fans and have a smile!